Michigan International Speedway hosted the inaugural MIS Backyard Hockey Tournament this weekend where more than 50 teams played 123 pond hockey games in the tri-oval and garage area. BROOKLYN, Mich. – The sound of hockey sticks hitting pucks and skates sliding across the ice was unique to Michigan International Speedway this weekend. During the inaugural MIS Backyard Hockey Tournament guests got to enjoy a full weekend of hockey on the tri-oval and in the garage area. Throughout the course of the weekend the speedway employed local service organizations to help with the event. MIS donated $3,100 split among the Jackson Area Hockey Association, Lumen Christi High School Hockey team and Jackson Relay for Life (American Cancer Society). The action was intense from the time the first puck dropped on Saturday all the way until the champions were crowned on Sunday. Action took place in the following divisions: 8U, Squirt (10U), Pee Wee (12U), Bantam, Midget A, women, novice and intermediate. More than 120 games were played between the divisions on six rinks. The action started at 8 a.m. on Saturday and did not end until 11:30 p.m. that evening. The teams came right back on Sunday morning at 8 a.m. for another full day of hockey and to claim a championship. Chris Yenna from Calgary, Alberta, Canada provided his expertise and equipment to ensure the success of the games. Yenna, the creator of the Ice NV portable ice resurfacer, was happy to assist. Thanks to his ice resurfacer, the ice remained in good condition throughout the weekend. The MIS Backyard Hockey Tournament featured more than 50 teams and 360 players competing over two days to take home the prize. The teams combined to score more than 1,700 goals during the tournament. Fans enjoyed a winter festival that included food, beverages and the Labatt Blue Party Porch. Fans even were able to watch the action from a suite. The Copper Stills Band entertained the crowd on Saturday night. Thanks to partners like the Detroit Red Wings, Labatt Blue, Corrigan Oil and Experience Jackson the tournament provided a memorable experience for all the guests. The Jackson Area Hockey Association assisted in running the event. 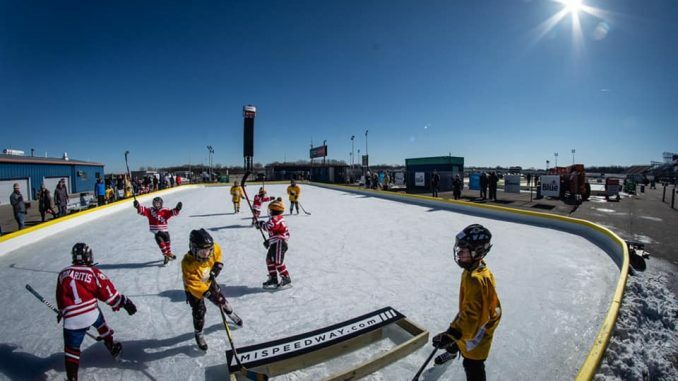 Michigan International Speedway is excited to bring street hockey to both of its NASCAR event weekends this summer. The weekend-long tournament will take place in the fan plaza that will feature food, games, music and much more for just $450 per team. Each team will be guaranteed five games during the weekend and there is a minimum of five players per team. Every participant will receive two tickets for all three days of racing action. All the division winners will be announced on the pre-race stage before the start of the Monster Energy NASCAR Cup Series race on Sunday. The Monster Energy NASCAR Cup Series FireKeepers Casino 400 is on June 9. 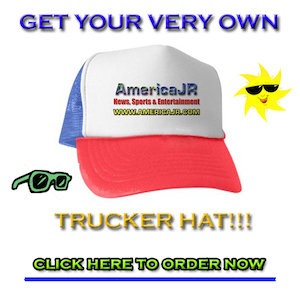 The series will return on Aug. 11 for the Consumers Energy 400.The XFINITY Series LTi Printing 250 is June 8 while the Gander Outdoors Truck Series Corrigan Oil 200 is scheduled for Aug. 10.